Maurice E. Washington is a Reno, Nevada businessman and pastor who is best known as a former Republican member of the Nevada State Senate. Washington was born on July 25, 1956, in Albuquerque, New Mexico. He moved to Nevada where he attended the University of Nevada, Reno, and there earned a bachelor’s degree in business administration. Washington worked as an electrician, sold advertising, and coached Pop Warner Football in nearby Sparks, Nevada. He was also active with the Young Men’s Christian Association (YMCA) Youth Basketball League in Reno-Sparks before becoming involved with politics. It was after a speech to the Washoe County Republican Convention in 1994 that he was encouraged to run for public office. Washington was elected to the Washoe 2 District Seat in the Nevada State Senate in 1994. At that time, the Washoe 1 District Seat in the Nevada Senate was held by Bernice Mathews, a black Democrat. Four years later he won reelection to the same district seat of the Nevada State Senate over Democrat Jim Spoo. In November of 2002 he defeated Democrat Joe Carter to retain his position in the Senate. Washington would again successfully defend his Washoe 2 District Seat by trouncing Democrat John Emerson in 2006. Washington’s tenure as a member of the Nevada State Senate ended in 2010 due to state term limits. During his time in the Nevada State Senate Washington was chair of the Education Committee. He also served on the Human Resource and Judiciary Committees. He was vice chair on the latter committee. Washington also served as a member of the Transportation Committee. He was majority whip (Republican) and assistant majority whip during his time in the Senate. 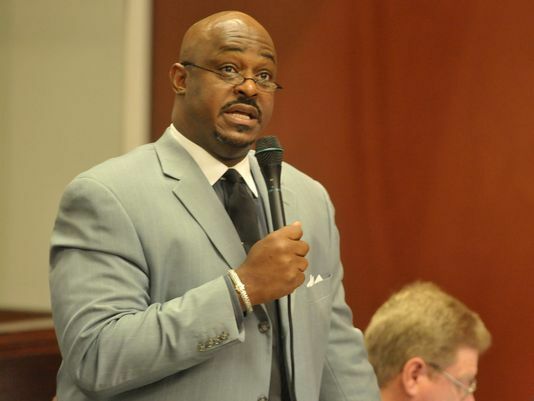 When he left the State Senate in 2011, Washington directed his attention to his new position as the Deputy Director for the Northern Nevada Development Authority. There he was responsible for overseeing the agency’s fiscal and accounting services. Later he, along with his team, were contracted as a Regional Development Agency to the Governor’s Office of Economic Development. In four years they were responsible for $1.5 billion in economic growth and generated more than 5,000 new jobs in the state. Rev. Washington and his wife, Donna, have four children, Angelise, Dennis, Jason, and Michelle. Washington is the founder and pastor of the Center of Hope Christian Fellowship in Reno. "Legislative Watch," Interview of Reverend Maurice E. Washington by Andrea Stevens & Daniel Riggs. Nevada NewsMakers. Nevada NewsMakers Outreach, http://www.nevadanewsmakersoutreach.com/legislativewatch/details.asp?LWSID=26; Sophie Wakoli, "Mike Bosma Sits down with Washoe County Commissioner Nominee, Maurice Washington and Bosma Business Advisor, Katrina Loftin-Winkel." Bosma Business Center: Serving Northern Nevada's Business Community, http://bosmaonbusiness.com/5-21-mike-bosma-sits-washoe-county-commisioner-nominee-maurice-washington-bosma-business-advisor-katrina-loftin-winkel/. “Legislative Watch,” Interview of Reverend Maurice E. Washington by Andrea Stevens & Daniel Riggs. Nevada NewsMakers. Nevada NewsMakers Outreach, http://www.nevadanewsmakersoutreach.com/legislativewatch/details.asp?LWSID=26; Sophie Wakoli, “Mike Bosma Sits down with Washoe County Commissioner Nominee, Maurice Washington and Bosma Business Advisor, Katrina Loftin-Winkel.” Bosma Business Center: Serving Northern Nevada’s Business Community, http://bosmaonbusiness.com/5-21-mike-bosma-sits-washoe-county-commisioner-nominee-maurice-washington-bosma-business-advisor-katrina-loftin-winkel/.